This last weekend I was lucky enough to travel back up to the Roots School in Vermont. The first time I visited the school I was there for a willow basket class. 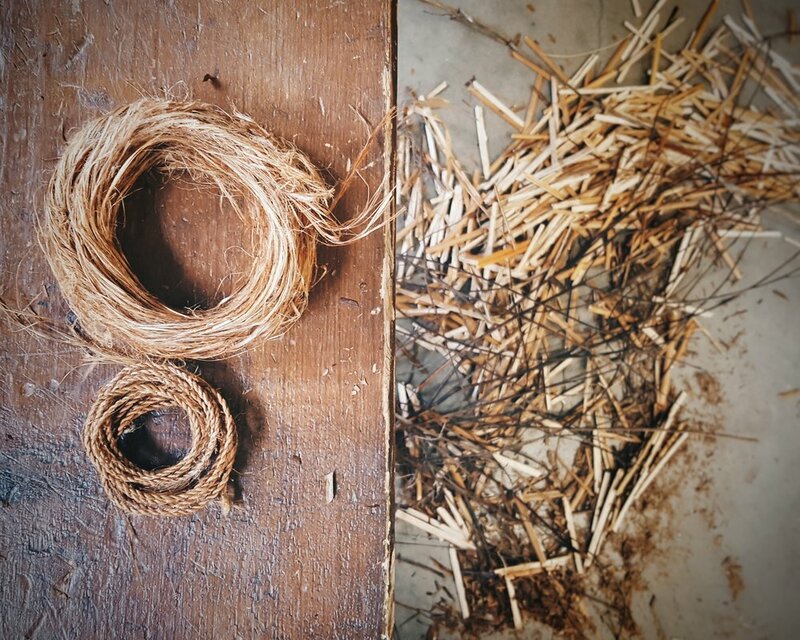 This time was two separate classes: one in processing natural fibers and the second for twining basketry. Sarah, one of the founders and teachers of the school is extremely knowledgeable in this area. We talked about pretty much every type of fiber; plant, animal and mineral. The main fiber we worked with on the first day was dogbane. 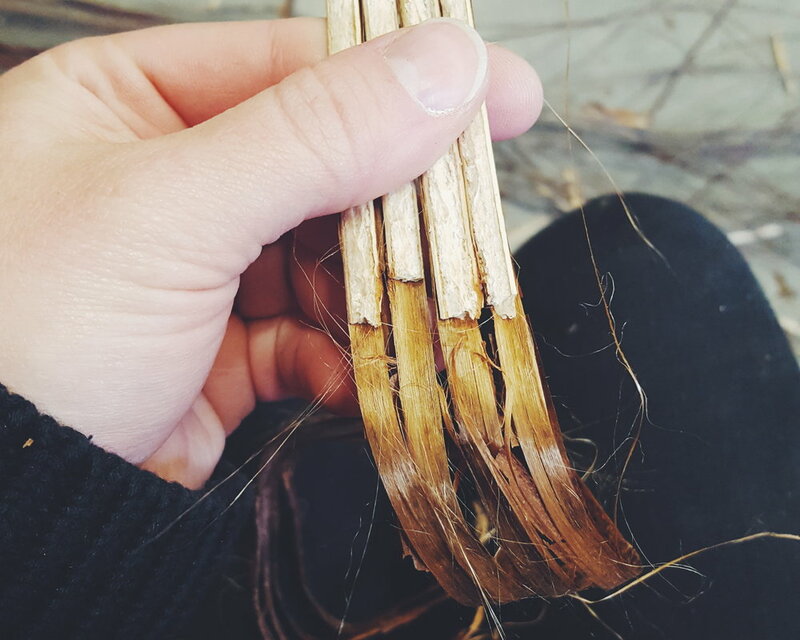 We learned how to take the raw material (a stick basically) and turn it into the most luxurious and soft fiber for making cordage or spinning. In the first picture below you see the dogbane that was split into four pieces and the process of removing the inner woody core. In the second picture below I have a handful of the fibers that then get rubbed together to remove the outer waxy cuticle. Then, above you can see the cordage that I made out of the dogbane. The third picture below is Yucca fibers that we learned process by stripping the plant matter off with a knife or spoon. We also got a chance to try a little drop spinning with wool fibers. I've always admired spinners but after learning a bit of how it's done, I don't think I'll be seeking out spinning classes at this point. We also corded some siberian iris and bast wood fibers. On the second day the next class was twining. Basically we took the materials we learned to process and made baskets out of them. 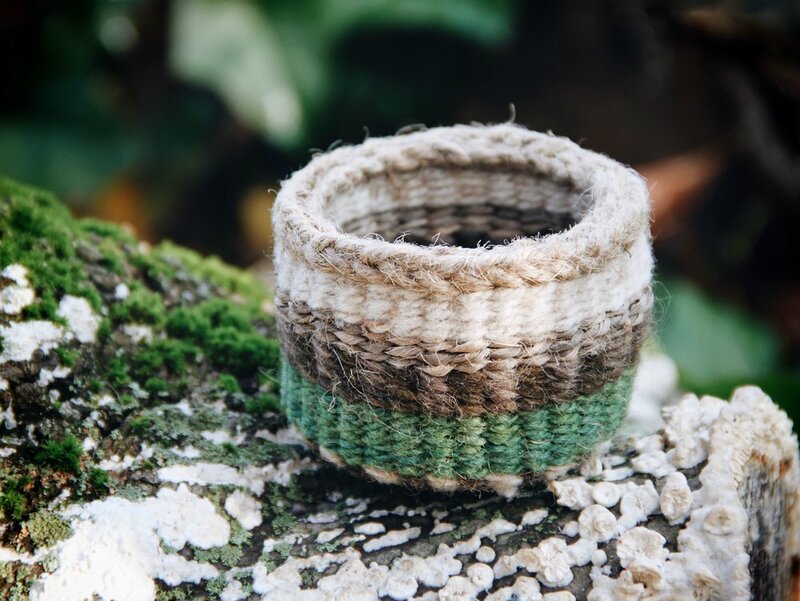 Twining is a very basic technique in basketry. Almost every basket has some form of twining in it. The two baskets below are the ones I finished that second day. Overall it was yet again an awesome experience and I'm so glad I got the opportunity to take both these classes this year. The first is made from cattail, iris and yucca fibers. The second is jute, wool and bast fibers.